Renishaw, Near Sheffield, Derbyshire, S21 3WB. 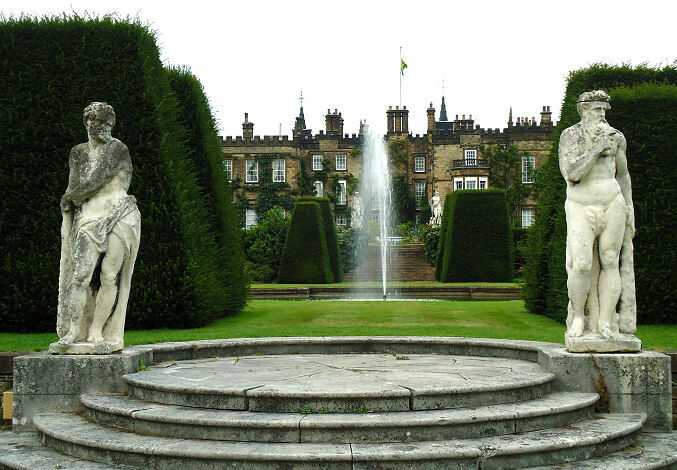 The Sitwell family have lived at Renishaw Hall since the early 17th century although it is the artistic “bright young things” of the early Twentieth Century that you will probably have heard about. The original manor house on the site was built by Robert Sitwell and extended into the existing hall which looks very dour as you approach it from the car park. It is then that you realise that the best parts are saved for the rear where the building is all together more elegant and the gardens are simply remarkable. There is a chance to visit the excellent cafe and shops before or after you visit the gardens and actually the entrance to the gardens are faintly obscure. It is only because of an entrance shed at the gate that you realise where they are. 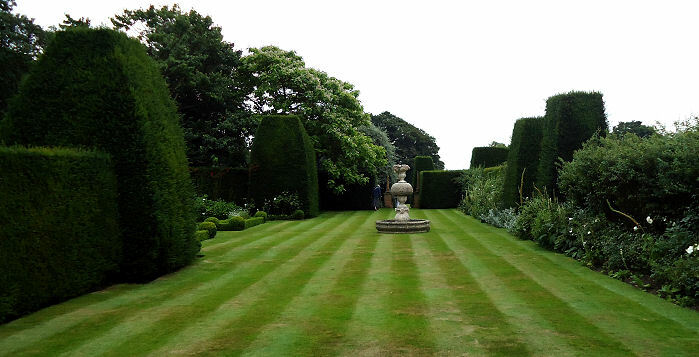 You walk along a path and a major lawn before you get to the main spectacle at the rear of the house. 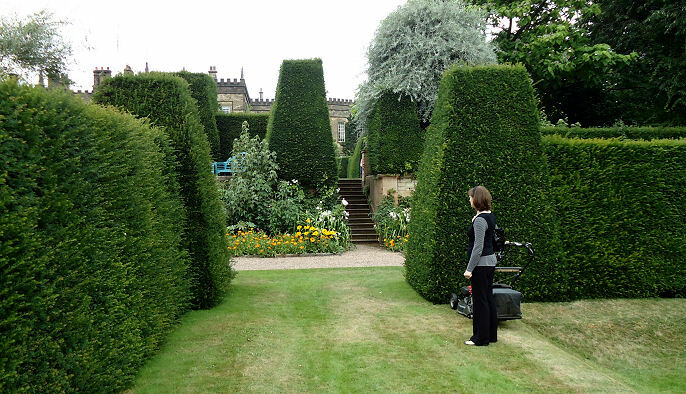 Renishaw Hall is rightly famous for its Italianate gardens which were originally laid out in 1895 by Sir George Sitwell (1860-1943). 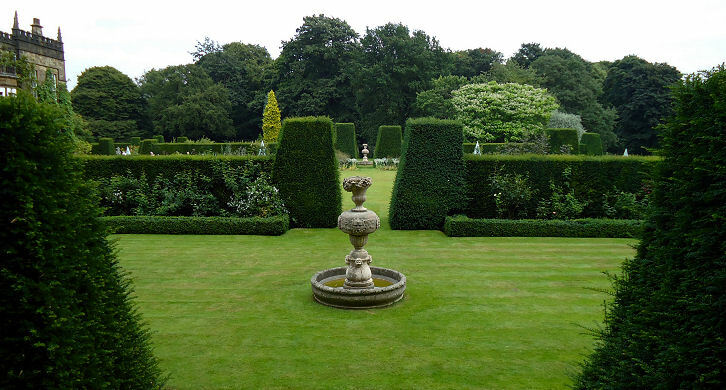 The current owner Lady Alexandra Sitwell has continued the work of her father Sir Reresby in restoring much of the garden and enhancing the formal design. Recent additions have included opening up areas on the top lawn to provide a better viewpoint of the Hall. 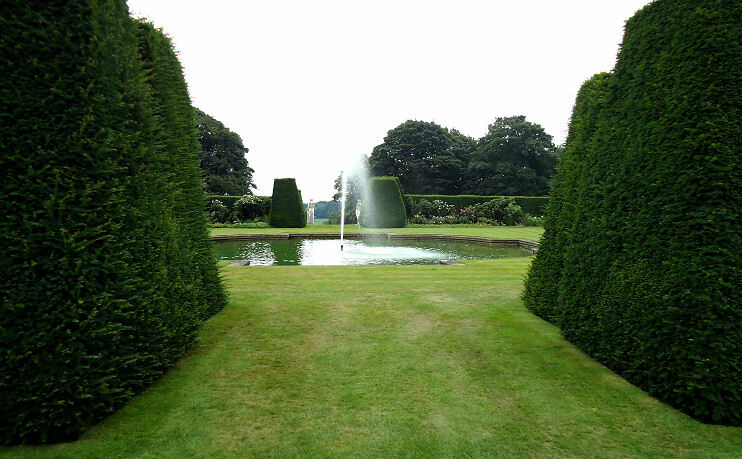 On either side of the formal gardens which are surrounded by massive yew hedges with pillars there are more naturalistic plantings and to the east, holly and camellia avenues lead to a series of paths through mature woodland. 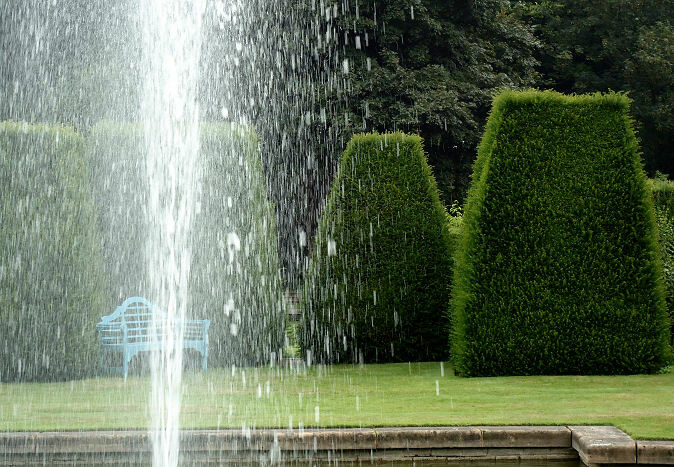 The garden is in a series of rooms each with a special figure such as statuary or a formal pool with fountain and the desire to explore the whole is further created by a change in levels with steps leading up and down to the various areas. At one stage you cross a metal bridge over a large pond containing water lilies to gain access to the central area and the whole thing gives the idea of entering a fortress or forbidden area and adds to the excitement. 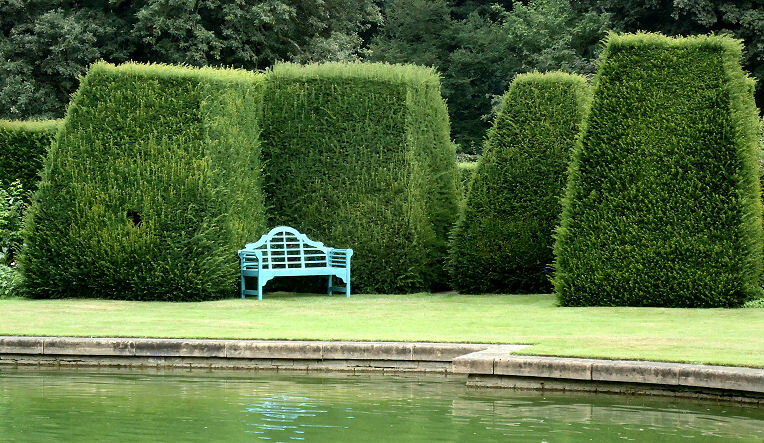 It is not surprising that the famous literary siblings Dame Edith (1887 – 1964), Sir Osbert (1892-1969) and Sir Sacheverell Sitwell (1897-1988) found inspiration in the gardens. They all used to visit regularly even when they livedin London. Besides the Yew hedges and pyramids, Gothick Temples, water features and statues there are several artworks befitting such an artistic location. 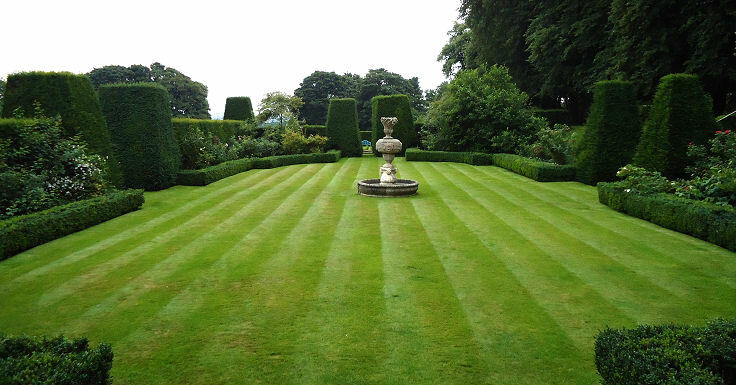 Alexandra’s father Sir Reresby summed it up by saying “The beauty of the Renishaw Estate lies in its perfect size: whilst a considerable country estate featuring natural and manmade structures, some elegant, some rustic in appearance”. The beauty of the garden is that although relatively compact it invites you to explore it from every angle so that you just have to follow every avenue to see what is around the corner and you must get a view of the house from the far side and see the topiary from higher levels and low to get the full feeling. It is as if you have walked into a dream befitting of Alice in Wonderland herself. Each view is worthy of a painting in its own right and when you get to the end you just have to step down over the Ha Ha to look back upwards past the two giant statues to see the whole vista unfold. I defy any child of four to ninety-four not to want to explore!